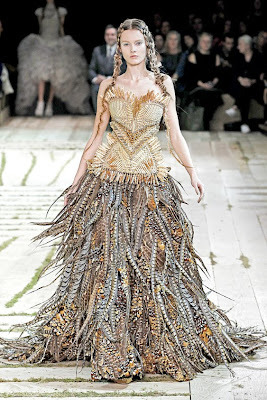 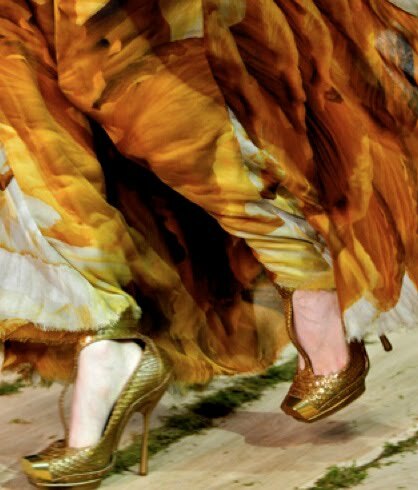 If It's Hip, It's Here (Archives): For The Alexander McQueen 2011 RTW Collection, Sarah Burton Had Some Big Shoes To Fill. 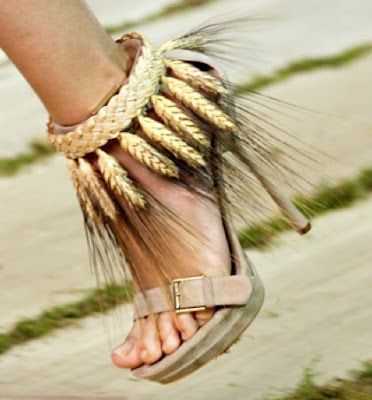 Look What She Did With Them. 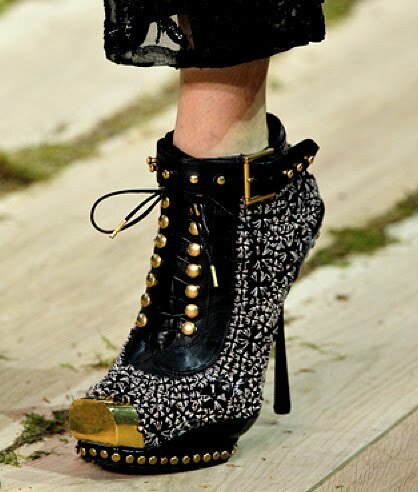 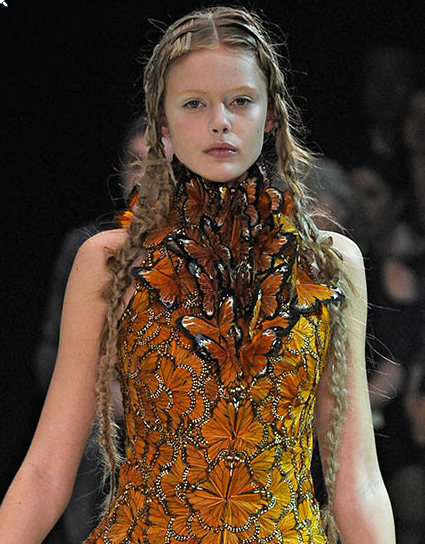 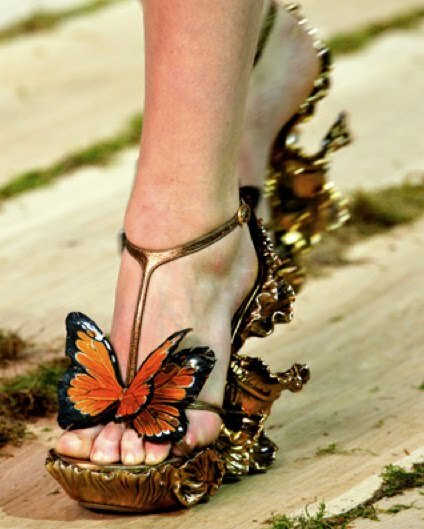 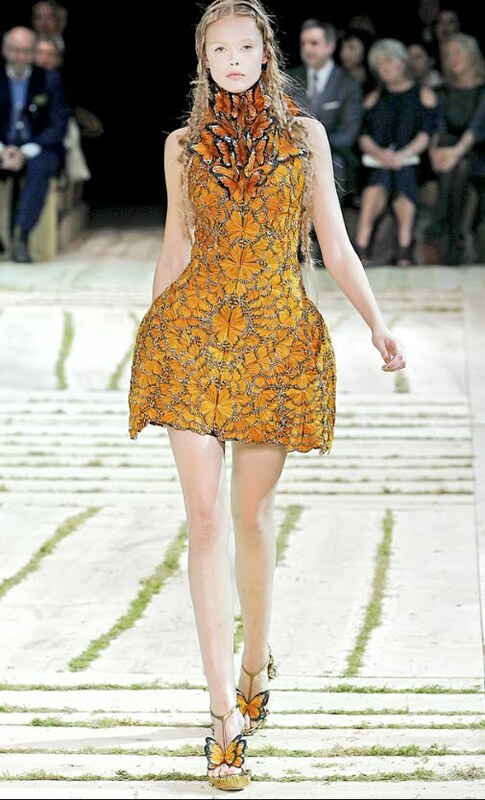 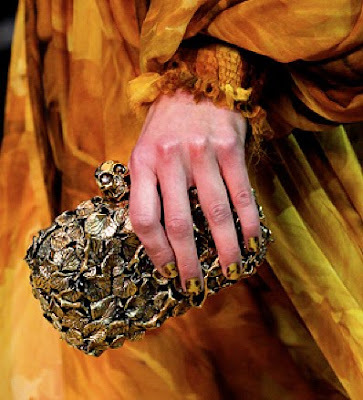 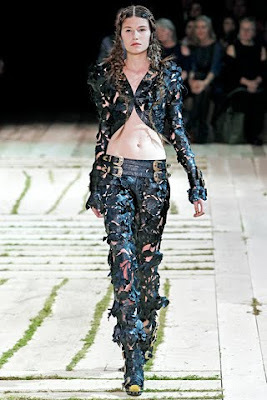 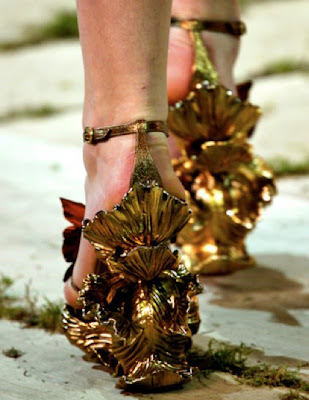 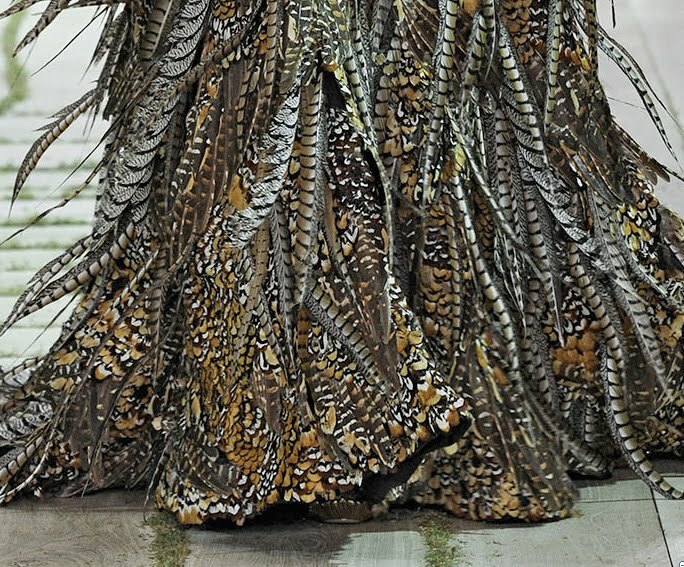 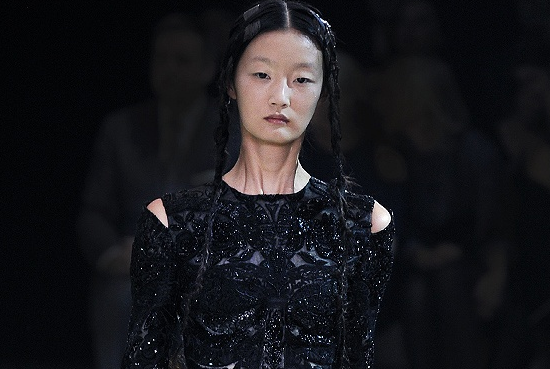 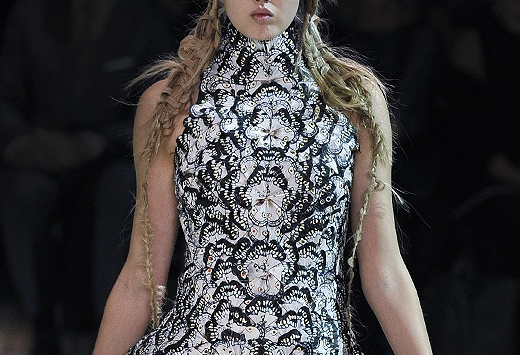 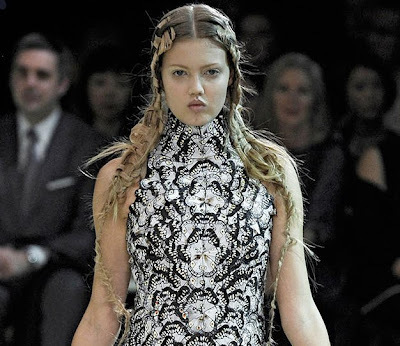 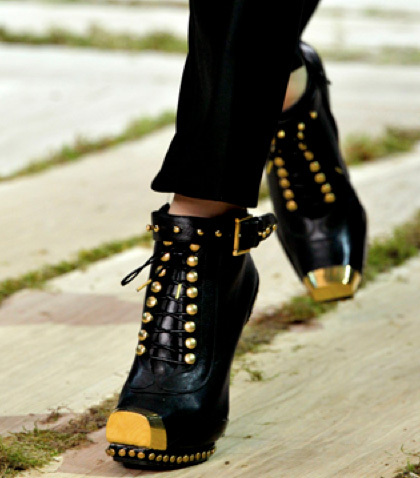 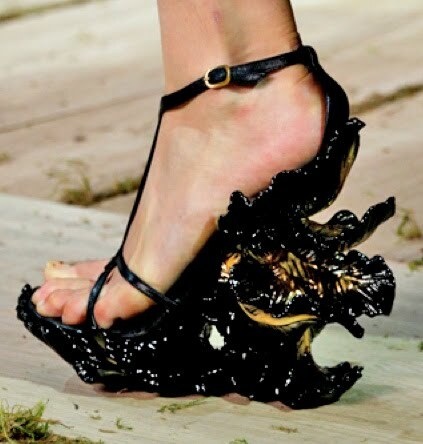 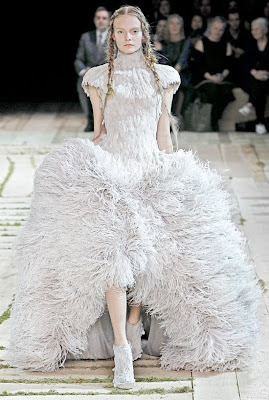 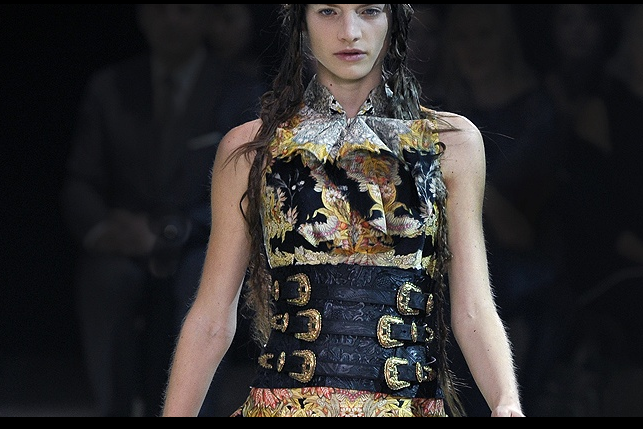 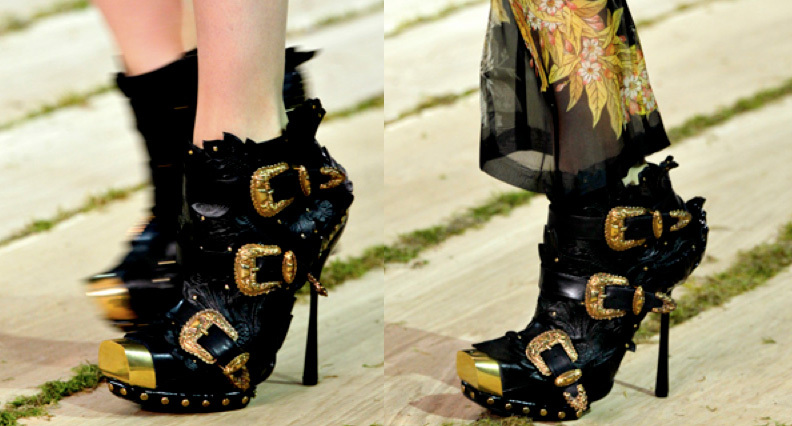 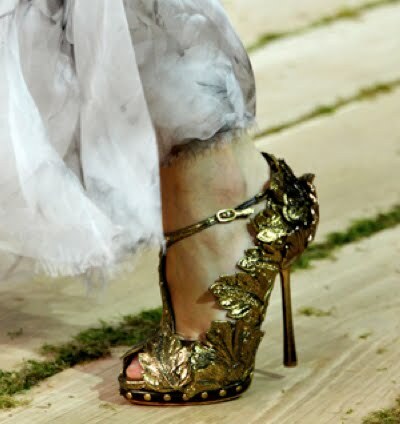 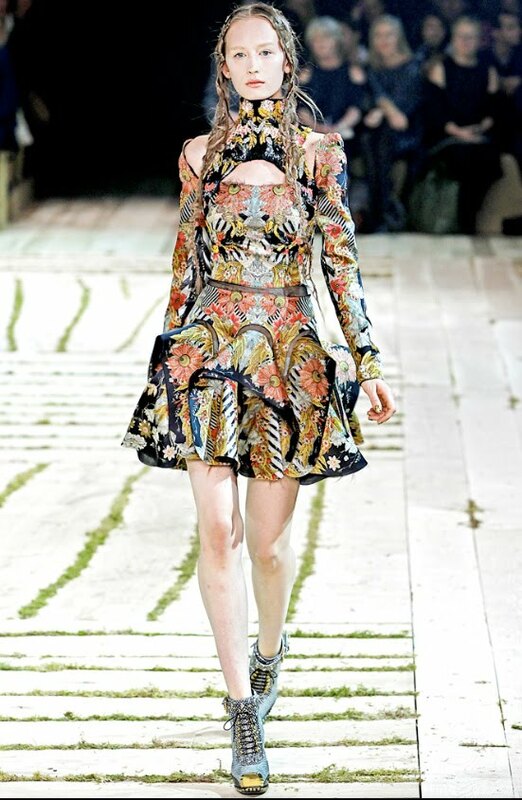 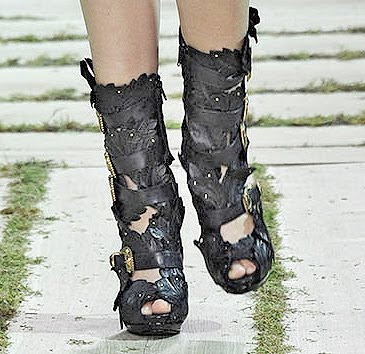 For The Alexander McQueen 2011 RTW Collection, Sarah Burton Had Some Big Shoes To Fill. 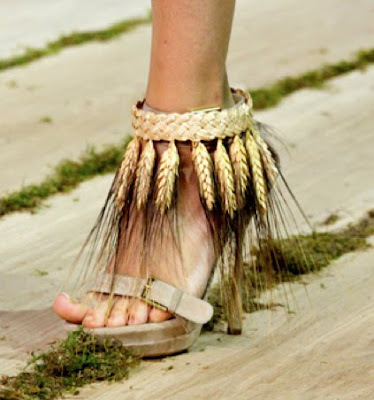 Look What She Did With Them. 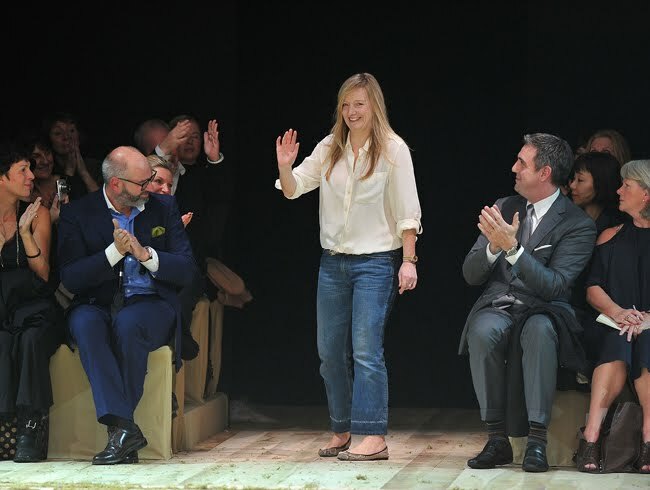 Following the sad and tragic death of designer Alexander "Lee" McQueen, Sarah Burton, who worked alongside the late designer for 15 years, had her work cut out for her when it came to designing the new collections without the namesake. But she did not disappoint. 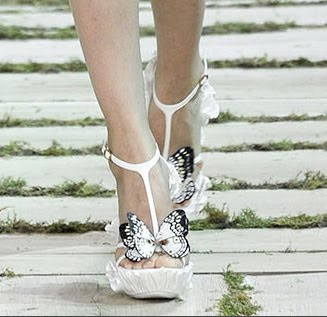 If anything, she added a feminine touch to some traditional McQueen silhouettes and pieces and certainly did a wild and commendable job with the shoes. 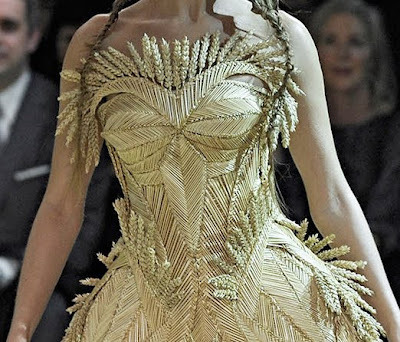 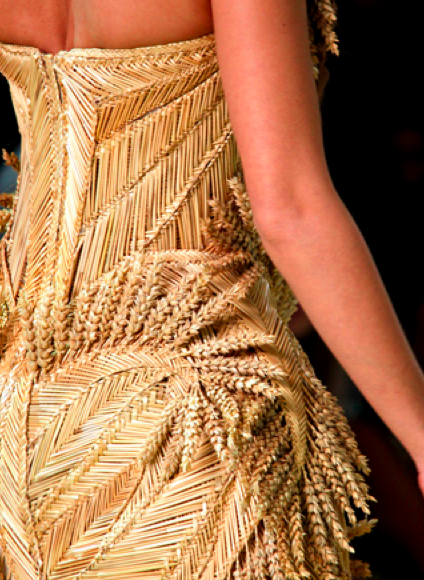 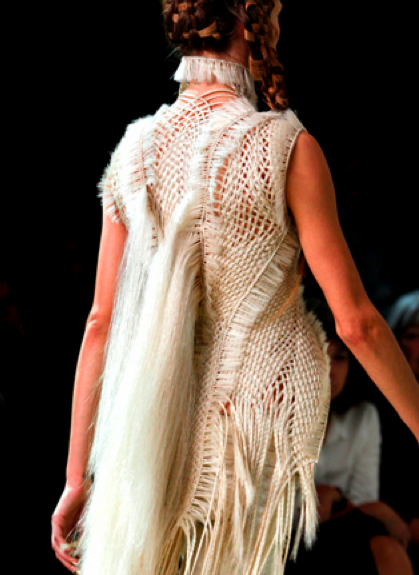 For the Spring 2011 Women's Ready-To-Wear collection, the craftsmanship and detail was startling. 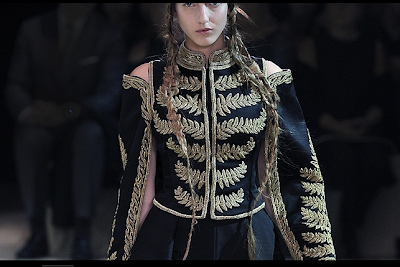 Butterflies, woven shafts of wheat, feathers, embroidery, leather and more blended to create a collection that's a little Bohemian, a little military, even a little Versace-meets-Damien Hirst. quanto custa o sapato de borboleta laranja??? ?